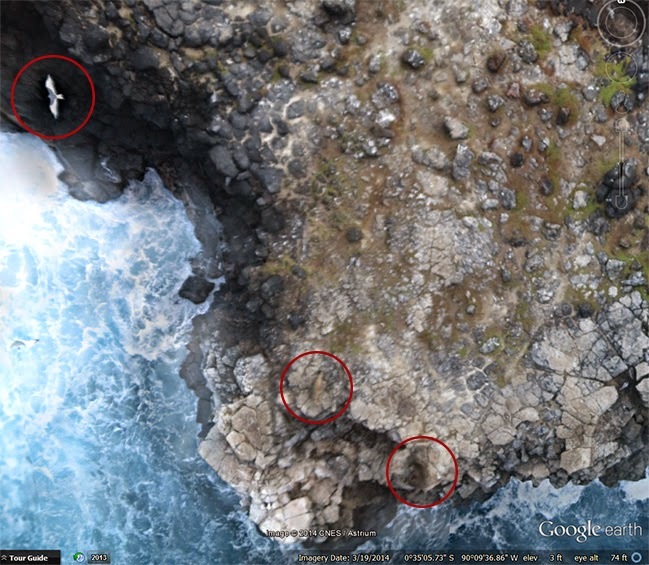 Yet, there are some areas in Galapagos that are seriously at the cutting edge. And, scientific research is one of those areas. Sure, some scientists either must or choose to conduct their studies the old fashioned way by living outside in tents, tagging and counting species. It's hard grueling and hot work. I should know because I used to do it myself. We would literally stay out in the wild for months at a time cataloging every bird that came our way. Though we tried to do our work without leaving a 'human footprint' in our pristine environment and to protect the wild life in every possible way, that wasn't always possible. 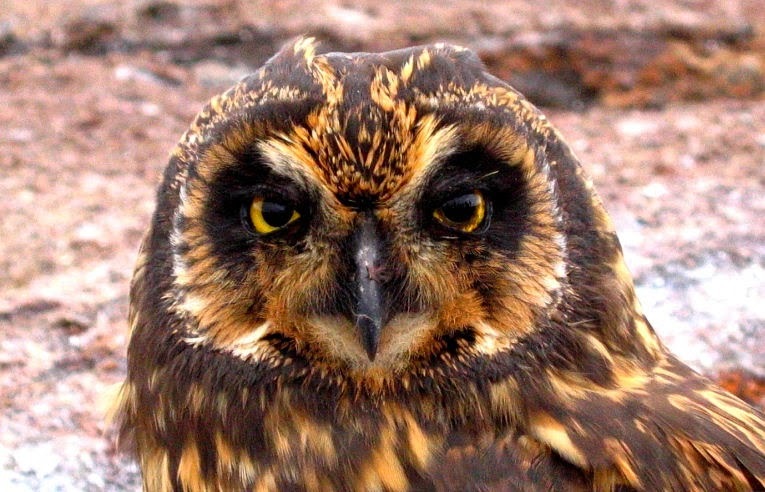 Scientists petition the Galapagos National Park Service constantly. They want to study our birds, insects, iguanas, lava lizards, mosquitoes, spiders - you name it - it's on some scientists "to do" list. To make sure that species are not becoming endangered, it's important to monitor the number of penguins around Bartolome, the number of blue footed boobies and short-eared owls on Genovesa, the number of albatross on Espanola. The list is endless. And, it's up to the Park Service to decide who gets access to our highly protected islands and who does not. One criterion for who gets permission is the prospective study's effect on the environment. The more people who walk around the islands, the greater the environmental impact. The greater the impact, the more the effect on biodiversity. The more likely change will occur. The more damaging to the natural habitats. But now, here and in other locations, there is a way for scientific study to occur without ever touching the ground: drones. 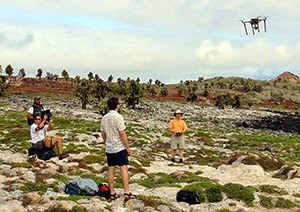 The Galapagos Unmanned Aereal Vehicles (UAV) project equips drones with cameras which take high-resolution aerial images throughout the entire Galapagos Island system. Without ever actually touching down on the environment and impacting the plant, animal and marine life, the UAV's view, record and document even more than can be seen from the ground with the naked eye. Drones are essentially small remote-controlled helicopter that buzz about the land taking hundreds of photographs from all different vantage points and heights. The resulting data provides invaluable and exciting information for scientists and for us too. As the data is compiled, it will become reviewable on Google Earth as well. 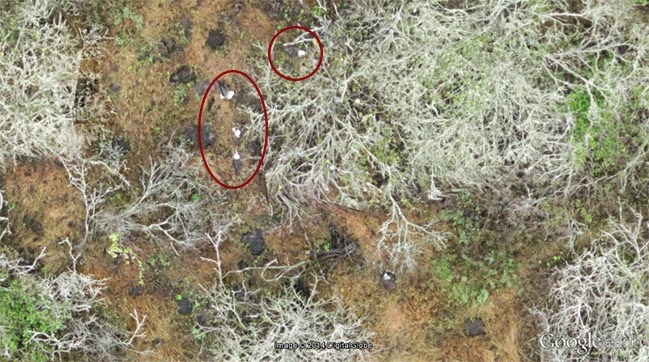 In describing this project, The Galapagos Conservancy notes that drone photography "has proven to be extremely useful, cost-effective and especially suited to Galapagos ecosystem monitoring." The Conservancy explains that drones open "an array of opportunities for measuring and monitoring the environment." Aereal views in the form of satellite images have been available for a long time now. But, such imagery is limited to locations and mapping: what exactly does the shore line look like? Where does the volcanic rock end and lusher vegetation begin? What erosion is occurring and where over a period of time? Where is the ocean hotter or colder? But, while satellites are great, one thing that they cannot do is monitor plant life or animal, marine and bird populations - but drones can. And they do this "with virtually no disturbance to the animals or environmental impacts" because no one has to set foot on the land mass at all. Plans are underway to use UAV imagery for measurements, population counts and other strategies to monitor our most delicate ecosystem and environment. According to the Conservancy, the UAVs will monitor how the waved albatross population on Espanola and the land iguana population on South Plazas change over time. I am soon publishing an article about concerns we have for the Boobie population throughout the archipelago. This type of research can greatly benefit from UAV photography and recordation. In learning about the use of drones here on Galapagos, I discovered that the use of drones is becoming quite common and exceedingly effective in geographic research throughout the world. 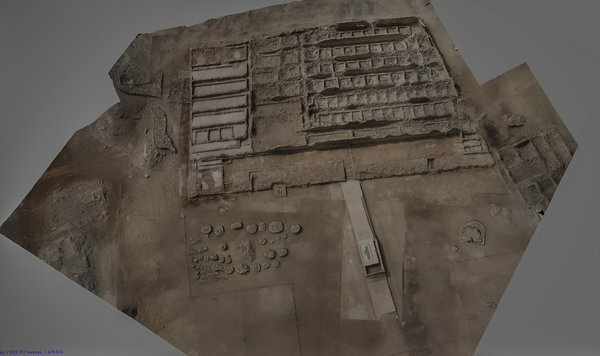 In Peru archaeologists are using drones to map, monitor and safeguard the country's ancient treasures at its archaeological sites. Not entirely unlike the situation in Galapagos, in Peru civilization is beginning to encroach on areas meant to be preserved and untampered with. Drones mark “a before and after in archaeology” just as they do in environmental preservation. According to the New York Times, from the photographic record, maps are created and then "used to legally register the protected boundaries of sites, a kind of landmarking that can be cited in court to prevent development or to punish those who damage ruins by building anyway." The use of drones in Galapagos is on the cutting edge of technology - how strange and wonderful that preservation of the past can be accomplished with the technology of the future.